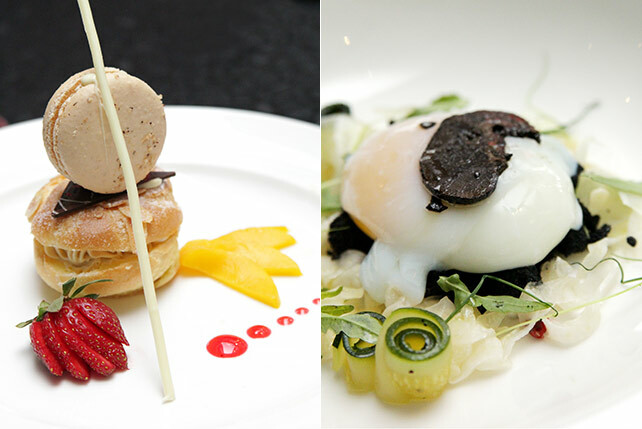 Sofitel's Wine Dinners are a must for any wine buff. 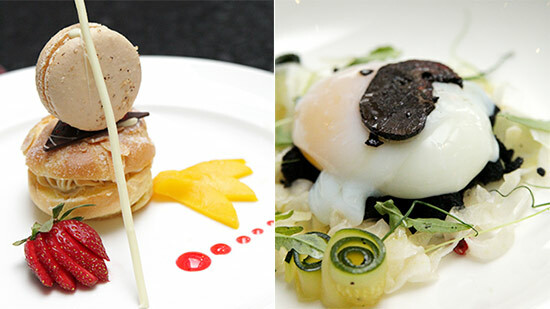 (SPOT.ph) Sofitel Philippine Plaza Manila has one of the finest wine catalogues in the Philippines, and they make sure to showcase it with a series of special Wine Dinners. Recently put on center stage is the Dynastie Des Ferraud wine collection, which was celebrated with an impeccable dinner specially designed to highlight the bottles. 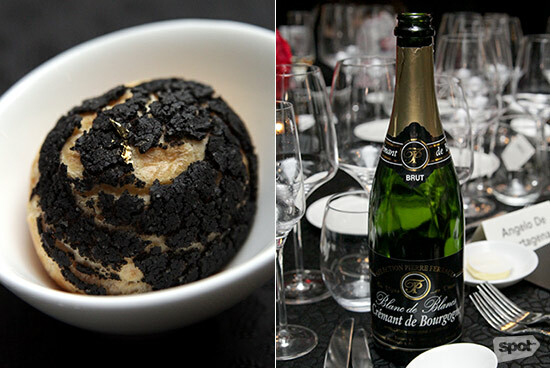 An assortment of cold canapés—a truffle-infused cream puff with a nice craquelin and some edible gold leaf—comes with the sparkling Cremant de Bourgone. The nice floral notes blossom into the sharp and distinctive taste of peach and apricot. 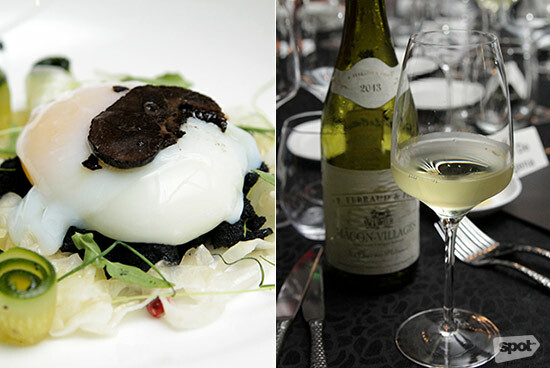 A very simple dish of Egg and Black Truffle Salad is all you need for the Macon-Villages 2013. Break open the egg so the creamy goodness of the yolk coats everything like a sauce; black truffle bits exude that unique earthy flavor and aroma. 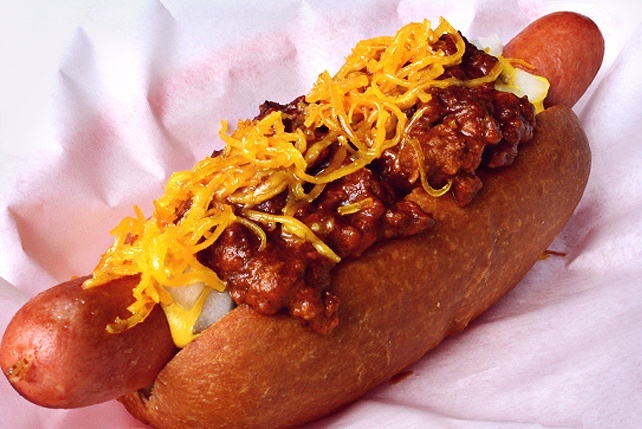 The wine, which has a citrusy scent, brightens the flavors with its fruity notes. Not a lot of restaurants in Manila serve or prepare a pigeon dish well, so the Pan-Seared Pigeon in Bitter Chocolate Sauce is an extra treat. The meat is delightfully succulent, more so over the bed of bitter chocolate sauce. 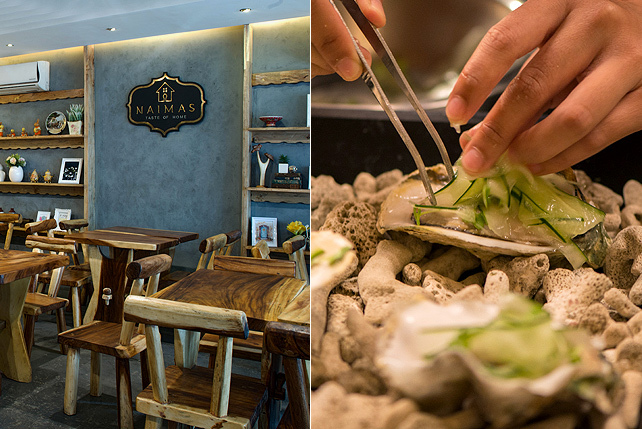 Each component of the dish is compelling—from the fresh chantrelles to the artichokes. 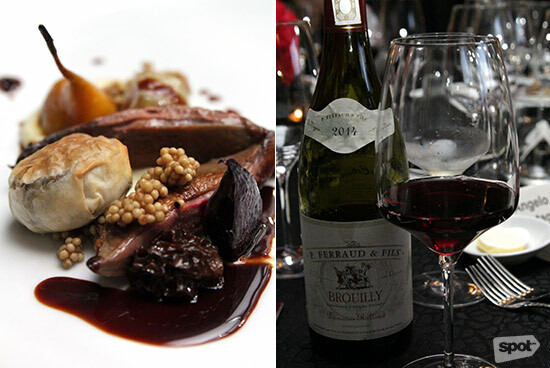 The Brouilly 2014 helps balance the very rich and flavorful poultry. 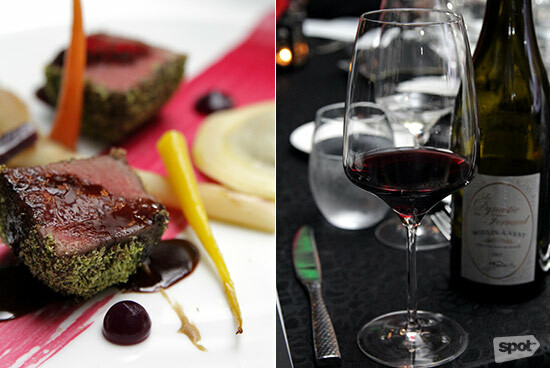 A crowd-pleaser is the lovely Grass Fed Beef Tenderloin that’s served with oxtail and foie gras ravioli. The meat is cooked to a beautiful medium rare, which benefits from the heady veal liver puree. A fantastic dish deserves an equally good bottle of wine—Moulin a Vent “Le Dynastie des Feraud” 2011, with its licorice aroma and complex tannins. A sweet ending is the Deconstructed Paris-Brest, which is a nice marriage of choux pastry and a rather addictive praline cream. There's no other wine to pair it with except the peach-flavored, colorless brandy of Poire Williams. It has a delightful, light, and fruity fragrance. Served chilled, it's a great after-dinner drink. 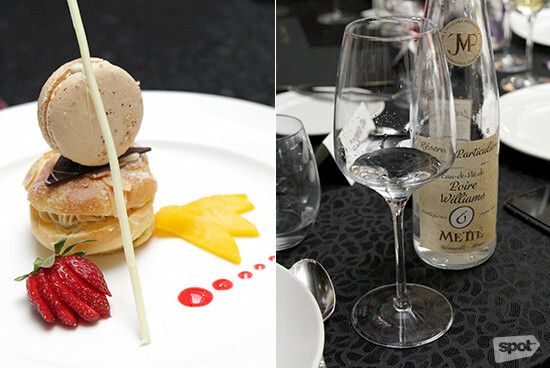 For more information on Sofitel Wine Dinners, visit Sofitel Manila's website or contact 832-6988; H6308-fb12@sofitel.com.